Fatigue risk management would be simpler if we could predict the times when one would become fatigued before one becomes fatigued. One of the tools we use, as part of a Fatigue Risk Management System, is FAID® bio-mathematical fatigue modeling software. Although there are several different types of this software, I use FAID® for three reasons. It makes plain the times during a shift when a person is more likely to be fatigued. Look at the fashion models in the drawing. Which one looks more fatigued? 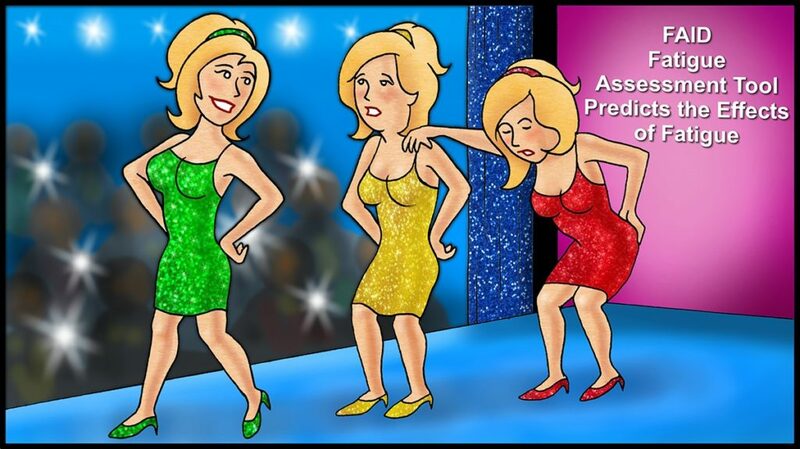 I think it is the one in the red dress. Generally, we cannot look at a person and declare him or her fatigued. FAID® displays, in the red zone, the times during a shift when a person is more likely to be fatigued. If an individual knows those times in advance, he or she can use fatigue countermeasures before those times arrive and decrease the risks of a fatigue-related error or other incident. Look at the example from the analysis of a DuPont schedule. The times in the red zone occur during night shift, on the third and fourth of four consecutive night shifts and on the second and third of three consecutive night shifts. Those times, in this example, are near the end of the shift. In addition to Pipeline Performance Group LLC, there are a number of pipeline control rooms in the USA and Canada who use FAID®. The pipeline control rooms use the software to have a scientific analysis for their schedule, as indicated in the PHMSA CRM inspection guidance. One of the other CRM requirements is to quantify the potential contribution of fatigue if a reportable accident occurs and a controller was involved in the incident. It is easy to use the FAID® score for the exact time in the shift when the accident occurred. One of my recent projects using FAID® was for a control room who wanted to compare the potential fatigue risks of several shift schedules, since they were contemplating changing the schedule. FAID® can be used to provide an overall fatigue compliance “score” for a schedule. 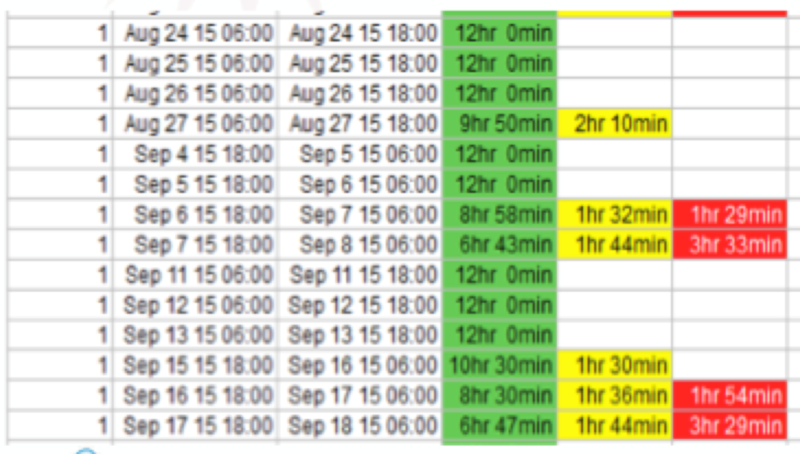 Other clients have asked me to use FAID® to model a number of overtime scenarios. 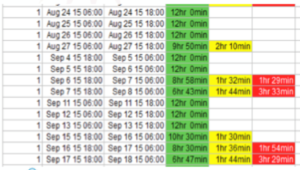 These scenarios can be used to select the “best” person to cover the overtime, based on their schedule before and after the overtime shift. Management and the employee can also use the visual depiction of the overtime shift to discuss the additional potential fatigue risks on the overtime shifts. For more information about FAID®, visit Interdynamics.com or contact charles@pipelineperformancegroup.com.